Injections of medicine into the eye. There is no cure, or treatment, for dry AMD at this time. Individuals diagnosed with advanced wet AMD can receive injections of therapeutic drugs in the eye to slow the progression of vision loss. Ninety-five percent of AMD patients are classified as dry AMD. Our researchers are working diligently to find treatments. Funding for this research is a crucial part of discovering treatments. 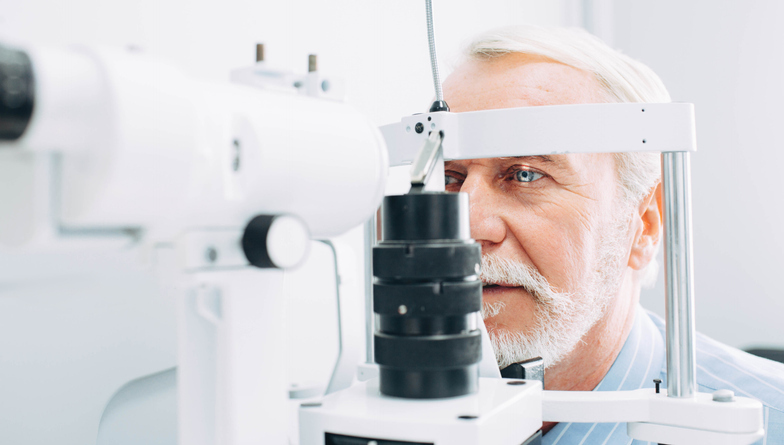 Patients that are able to receive therapeutic injections will seek treatment with their eye doctor.